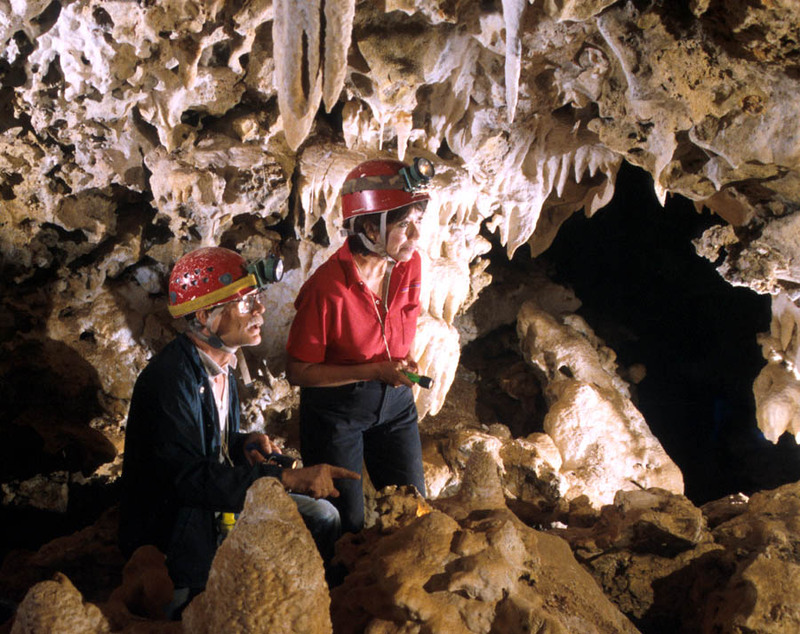 John and Susy Pint have been exploring the caves and remote corners of Saudi Arabia since 1981. Both have written numerous magazine and newspaper articles on the country. 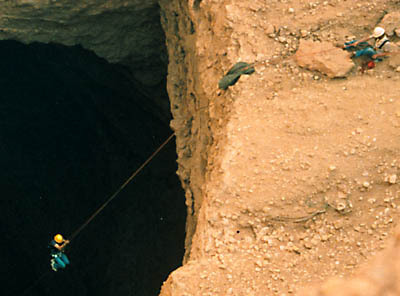 John Pint is author of The Desert Caves of Saudi Arabia (Stacey International, London, 2003) and a consultant to the Saudi Geological Survey. 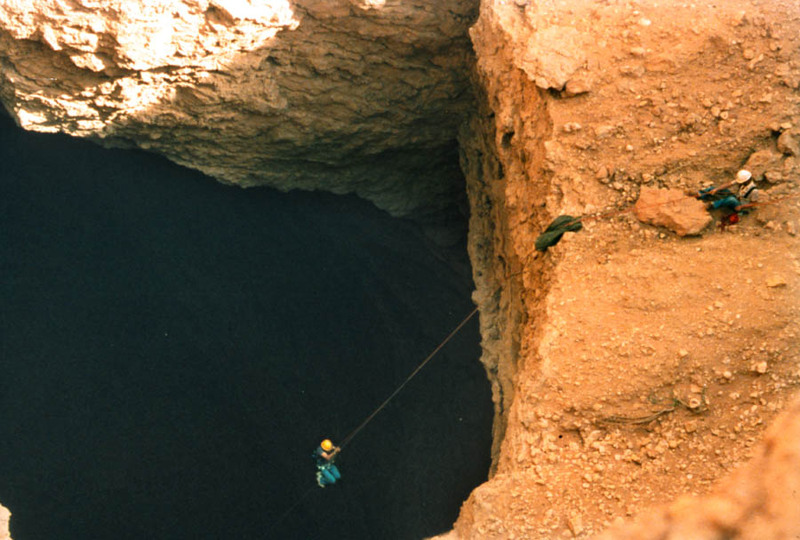 The Pints own and maintain www.saudicaves.com, a web site featuring everything about Saudi caves from adventure stories and outstanding photos to scientific reports. The Pints are also authors of Outdoors in Western Mexico and Al Aire Libre en Las Cercanías de Guadalajara (Agata Editores, Guadalajara, 1998 and 2007) which feature 40 little-known natural sites within reach of Guadalajara, Mexico. Susy Pint writes on these subjects in Spanish for the magazines Tapatío and México Desconocido. 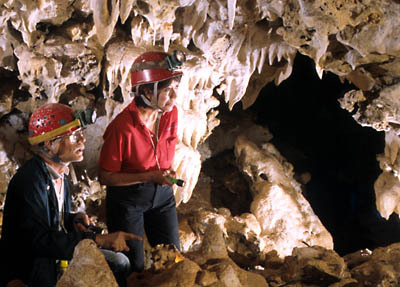 The Pints' adventures south of the border appear on their MEXICO web page and in their bilingual caving bulletin Subterráneo. 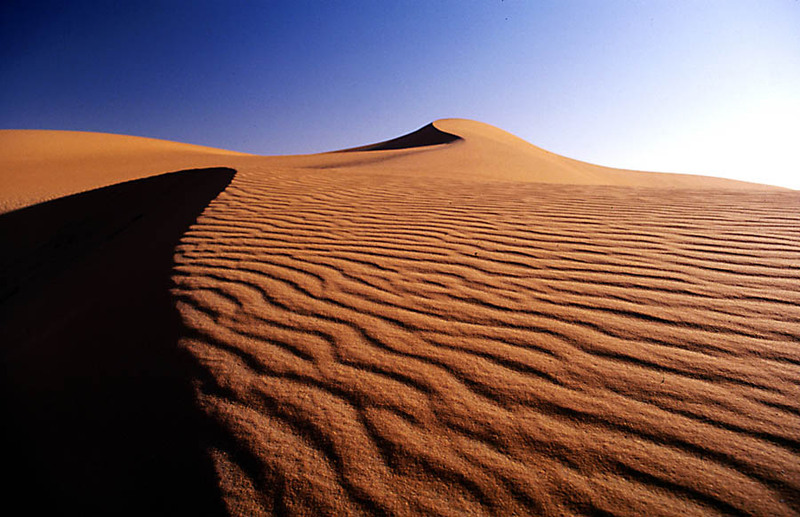 The Pints have been invited as Guest Speakers or Lecturers since the 1980s, when they began their explorations in Saudi Arabia and Mexico (See list of venues below). John and Susy Pint are available for speaking engagements in the USA or Mexico. To arrange for a presentation, call (52) 333-151-1612 from the USA or 31 51 16 12 from Guadalajara, Mexico... or contact us by email. The Pints in Surprise Cave, Saudi Arabia. Tiny holes leading to endless labyrinths; Bedouins, camel spiders, pits 300 feet deep; what to do when you get lost in the desert; diving beneath the dunes; bones, skulls and mummies, etc. Sandstorms; dune skiing; Jeddah, the oldest city in the world? green coffee; sweet tea and slow talk; the roses of Taif; religion and politics; Jeddah’s amazing outdoor art; a sandbox the size of France, etc. 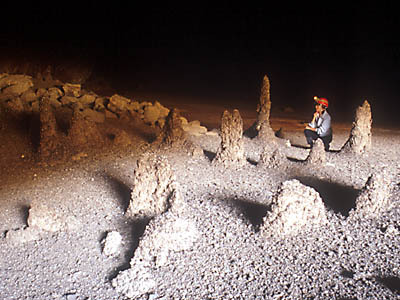 Ghostly Cave; caves of the lost city; the legends of Hibashi Cave; Neolithic Rock Art, journey to the Black and White Volcanoes, etc. Susy Pint contemplating an ancient wall, set among rock-dove "guanomites." 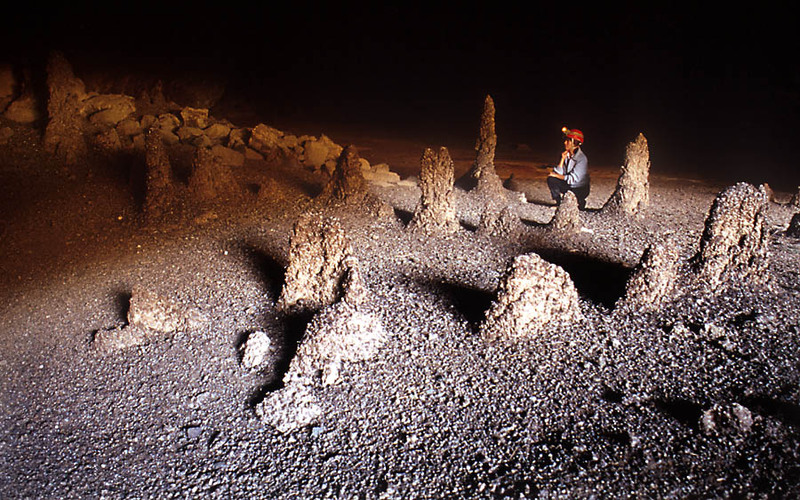 A Persian qanat (underground aqueduct) in Jalisco, Mexico; The Psychedelic Bell of La Campana; the pyramids of Teuchitlán; the hot spring of Paradise; the River of Souls; the rock art of Altilte; waterfalls, geysers, boiling hot rivers, etc. Lecture bureaus and speakers’ bureaus will appreciate the excitement and humor of the Pints’ adventures in solitary deserts, in encounters with camels and Bedouin and, of course, deep within the entrails of the earth where they have come upon vast caches of bones, Neolithic artifacts and perfectly preserved mummies. The Pints’ presentations normally consist of digital slides which tell a story. Speakers bureaus, lecture bureaus, service clubs and other associations and organizations that use public speakers, lecturers or keynote speakers have only to peruse the photo galleries of www.saudicaves.com to discover the vast selection of pictures from which the Pints can choose to organize their presentations.